Aunt Beth's offers free shipping to the 48 contingent states. Your products will be shipped frozen in a decorative gift box via FedEx ground. Cookies will be shipped within 1 to 2 business days from receipt of order. The cookies will be thawed and ready to eat the day you receive them. Aunt Beth's cookies contain no added preservatives, as such, fresh shelf life is 5 days after receipt of cookies. Free gift box included! 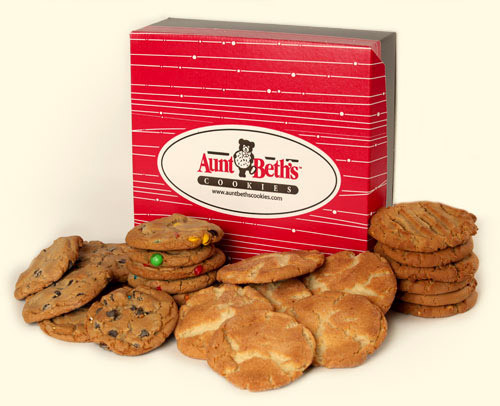 All Aunt Beth's cookie orders are packed and shipped in our decorative gift box, perfect for any occasion.